The Turkish Armed Forces (TSK) will use a locally made launching system and anti-tank missiles starting this month, a government source said Friday. The OMTAS Medium Range Anti-Tank Weapon System — developed by Turkish defense giant Roketsan — has been accepted after succeeding in tests, a Defense Ministry official who asked not to be named due to restrictions on speaking to the media, told Anadolu Agency. The Turkish Armed Forces acquired one OMTAS Launching System and eight OMTAS anti-tank missiles on June 2 and these systems will be in the Turkish Land Forces’ inventory in June, added the source. 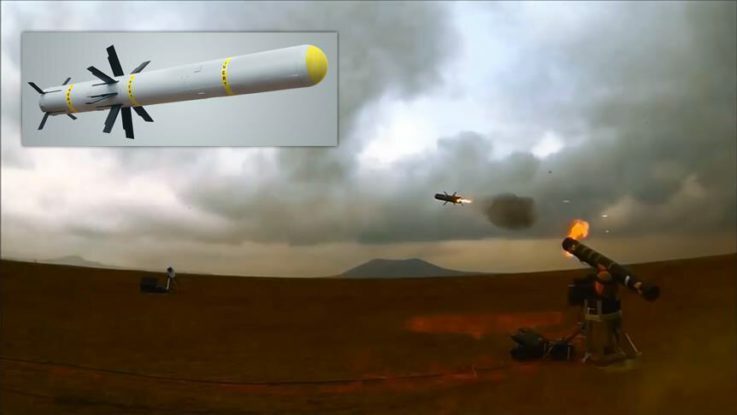 OMTAS was developed by Roketsan to eliminate armored threats in the range of four kilometers (2.4 miles) and it has two shooting modes, fire and forget and fire and update.